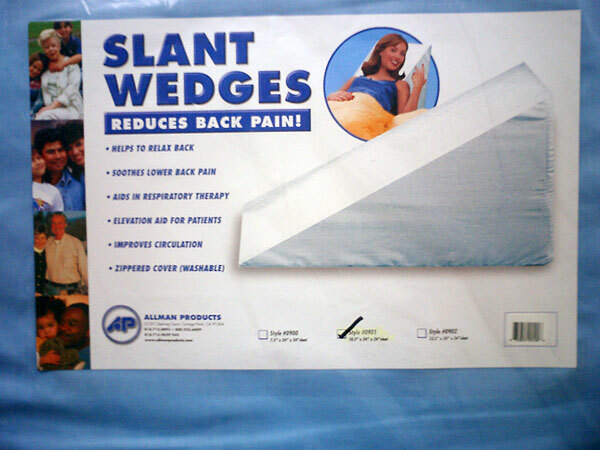 Slant wedges are great for many types of back pain. They work particularly well for people who experience cervical (neck and upper back) pain while reading, watching TV or doing office or computer work. Wedges also work perfectly to elevate your legs in bed, or to support your legs (by putting the wedge under your knees) to take pressure off your lower back.